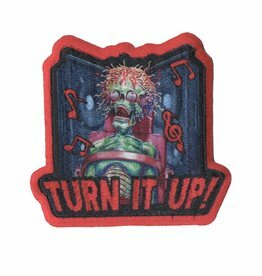 Mars Attacks turn it up iron on patch by kreepsville. Embroidered patch featuring art from Mars Attacks Occupation. Size approx 3.25 in (8.25cm), Officially licensed Mars Attacks product.